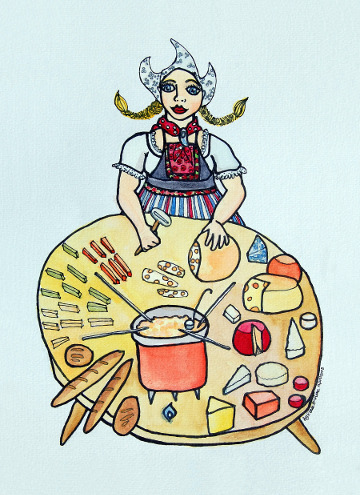 Postcard of a Dutch girl preparing a cheese fondue with lots of cheese, veggies and bread. Postcard of a Dutch girl preparing a cheese fondue. On the table you see lots of cheese, chopped veggies, a selection of bread and of course a fondue pot.